Out of warranty Volkswagens are eligible for 6 months FREE Roadside Assistance with the purchase of a qualifiying service. Some conditions may apply. 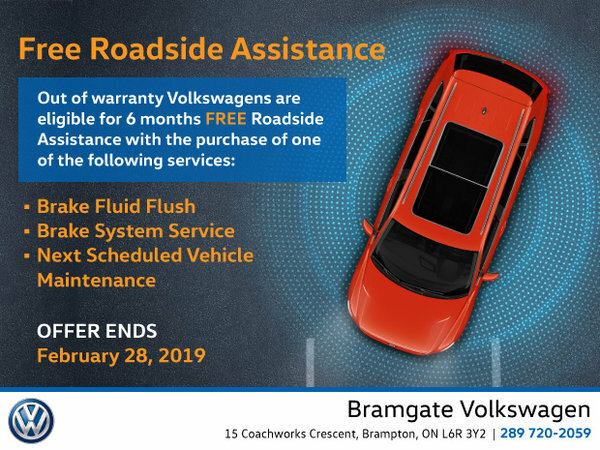 Please speak with your Bramgate Volkswagen Aftersales Consultant for full details. Offer is valid until February 28, 2019 and is subject to change or cancellation without notice.